The Power Supply System type PSS1250 is an anodized aluminum 7"/9"/19” Rack unit (4U high) suitable to accept up to 2/6 plug-in Power Supply Modules type PSM1250 and 1 Overview module for diagnostic functions. Each module is able to provide 24Vdc, 50 A output. Modules can be paralleled with load sharing circuits which distribute current load equally to each power supply module to increase reliability and reduce internal power dissipation. The system accepts up to two independent AC power sources from 100 to 264 Vac. Twelve configurations of 19” Rack Units are available with or without Hot Swapping and with or without Diagnostic. Four configurations of 9” Rack Units are available with or without Hot Swapping and with or without Diagnostic. Two configurations of 7” Rack Units are available with or without Hot Swapping. When using racks configured for Hot Swapping, each PSM1250 power supply module can be placed in Zone 2/Div. 2 Hazardous Locations without having to monitor the hazardous gas presence and without disturbing Power Supply operations. A plugin module (PSO1250) dedicated to monitoring all diagnostic functions of each power supply can be installed in the last rack slot; it can be operated through a front panel touch screen LCD color display which indicates input/output voltage, current and power, input line frequency, output current sharing percentage, internal temperature, alarm status. RS485 Modbus output provides full diagnostic and status conditions. 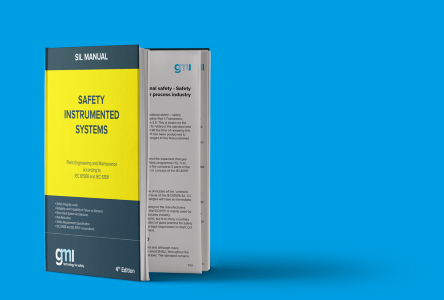 PSO1250 presence or fault does not affect PSS1250 operation and functional safety application. • 2 universal AC Input Lines, 100 to 264 Vac (48 to 62 Hz). • Installation in Zone 2 / Div. 2 hazardous locations with hot swappable modules. • Highly regulated output of 24 Vdc, 50 A, for PSM1250 module. • 89% efficiency @230 Vac input and 24 Vdc output with full load. • Fan speed control depending on ambient temperature and output power. • 19” or 9” or 7" Rack unit, 4 U high, anodized aluminium, durable metal enclosure. • Modbus RTU RS-485 diagnostic output.